August 30 th, 2018 was our 12th monthly artZINE in Sandy Hook, KY. Our theme was – Life Turns Full Circle We met at the Gallatin County Public Library in Warsaw, KY. This artZINE #12 is significant because it completes our FIRST YEAR OF ARTZINE! When we started this project, we had no idea of how many interesting people and places we would meet. Thank you everyone for participtating and sharing your talents! Now that we have completed a full year, it’s with a little bit of sadness to let you know we are going to take a hiatus from our monthly artZINES. We need some time to analyze what we’ve learned this past year before restructuring and starting phase 2 of the artZINE project. Here are the pages of #12. Click any of the images (or right here) to see/download/print all the pages from the zine (including the 12 different hand painted covers). If you are curious about what we do while visiting a different small town each month with Art Zine, we made this video last month in Sandy Hook. thanks Tabitha Dial and Sue Ellen Gorman for participating and helping explain our project. and thanks Maddie Gorman for taking the video! July 25th, 2018 was our 11th monthly artZINE in Sandy Hook, KY. Our theme was – HOME. We met outdoor at Lakeside Elementary School in Elliot County, KY. We were particularly excited to visit Sandy Hook because of it’s rich Folk Art Heritage. Here are the pages. Click any of the images (or right here) to see/download/print all the pages from the zine (including 10 different hand painted covers). Thanks everyone for participating! August’s artZINE will be in Warsaw, KY. On August 30th. The theme is: LIFE COMES FULL CIRCLE. You can get more information and RSVP at our facebook page: Click here to visit. May 31st, 2018 was our 9th monthly Art Zine in Mt. Sterling, KY. Our theme was – NEVER AGAIN. Here are the pages. Click any of the images (or right here)to see /download/print all the pages from the zine (including the 15 different hand painted covers). The idea for the ArtZine project is for artists (particularly those who live in small towns) to get to know each other by visiting each other’s communities, and making a self published magazine together. We are particularly excited to have the chance to visit Mt. Sterling, because it is a small town with an already thriving art and zine culture. The Gateway Regional Arts Center, located in Mt. Sterling, publishes the art/literary zine: uncommon Grackle. Take a sheet of letter sized paper, and fold it in half. That is the size of our zine. You can put whatever you want inside. it can be a drawing, poem, short story, photograph, collage, crossword puzzle, anything– We’ll have computers and a scanner available to put it in the layout. You can look at the artZINE’s photo albums to see examples of previous entries. On the day of the event, we will meet each other in person at the library, and work together to create the ‘zine covers, print and assemble the ‘zine. The activity is free and open to the public, all skill levels and types of art are welcome to join us. all participants get their own copy. 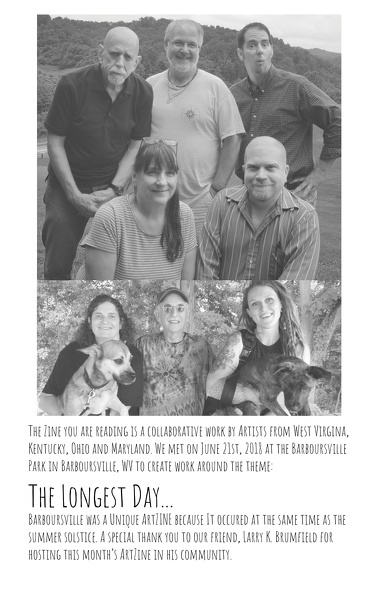 April 23, 2018 was our 8th monthly Art Zine in Rabbit Hash, KY. Our theme was – I REMEMBER WHEN. Here are the pages. Click any of the images (or right here)to see /download/print all the pages from the zine (including the 26 different hand painted covers). There was an overwhelming turnout (over 26 participants!) From different parts of Kentucky, Ohio and Indiana. It’ll take a few days until we publish the online edition, but here is a short (less than 2 minute) video preview. It features some of the different hand painted covers, as well as this month’s entries. this activity is free and open to the public. April 23rd, at the barn in Rabbit Hash, KY. There is still time to draw, paint, write, print, or create an entry however you are inspired. We’ll meet from 10-4pm. for my entry, I chose to make a linocut of Maya Angelou’s famous quote because it illustrates the abstraction of memory, and the importance of kindness. Rabbit Hash, KY.